Application forms are available from the school’s front office. Completed forms must be returned to the school, together with a non-refundable application fee of R250. Applicants will then be invited to visit the school and spend a morning with us. During this time your son / daughter will complete a basic assessment. Successful applicants will be notified in writing and / or telephonically. 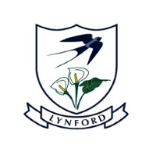 On acceptance of a position at Lynford, applicants are required to pay a family enrollment deposit of R4000 to secure their position. Neither completion of an application form, nor payment of the application fees guarantees acceptance. Admission and acceptance remains at the discretion of the Principal and Board of Governors.